Dozens of rockets and mortar shells were fired at southern Israeli communities from the Gaza Strip on Wednesday night, including one barrage that slammed into the city of Sderot, injuring several Israelis, prompting the Israeli Air Force to bomb 12 Hamas positions across the Gaza Strip, the military said. Wave after wave of rocket attacks set off sirens throughout the night in the Hof Ashkelon, Sha’ar Hanegev, Sdot Negev and Eshkol regions, outside Gaza, sending thousands of Israelis into bomb shelters, where many bedded down with their families. One rocket or shrapnel from an Iron Dome interceptor damaged a home in Sderot late Wednesday. Two rockets slammed into the city earlier in the day, injuring at least two people. According to reports, at least 50 projectiles were fired at southern Israel as of midnight Wednesday, including the eight that were launched at Sderot. An official count from the IDF put the tally at 36 missiles as of 10:15 p.m.
At least four rockets were intercepted by the Iron Dome missile defense system, the army said. “The majority of the rockets hit open areas,” the IDF said in a statement. Spokespeople for the Eshkol and Sha’ar Hanegev regions said no rockets or mortar shells appeared to have struck inside any of their communities, though several were found in the fields outside their gates. 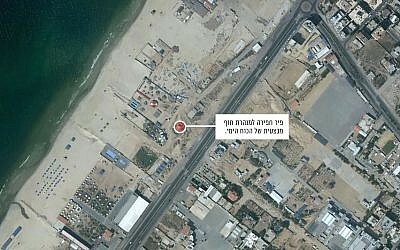 According to the military, among the Hamas positions bombed by the fighter jets was a factory where the terror groups constructs the concrete blocks it uses for attack tunnels and a fully operational tunnel opening near the Gaza coast belonging to Hamas’s naval commando unit. In addition, a number of Hamas facilities used to manufacture and store rockets and other military equipment were hit in the strikes, the IDF said. 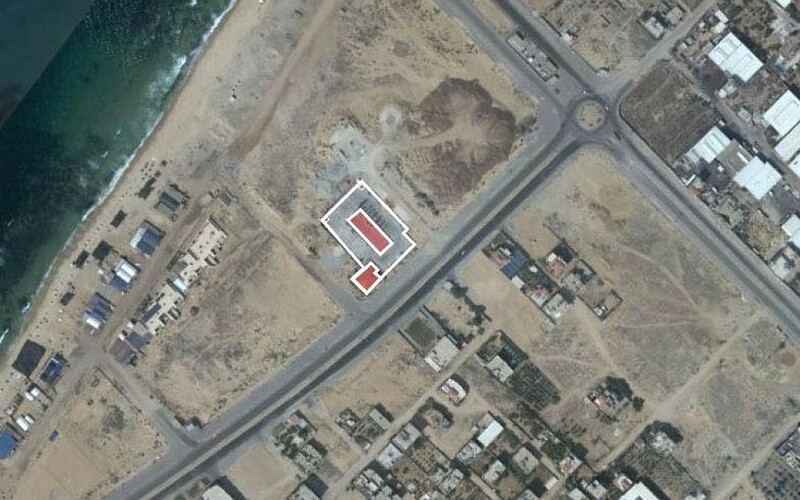 According to the army, the concrete factory was originally used as a civilian hotel, but was seized by Hamas during the 2012 Operation Pillar of Defense campaign. A year later it was converted a facility to produce the concrete slabs that line the walls of tunnels, the military said. Four Palestinians were lightly injured in the Gaza Strip as a result of the IDF attacks, according to the Hamas-run health ministry. No Palestinian terror group immediately took responsibility for Wednesday’s rocket attacks. The IDF said it was holding Hamas accountable as it is the ruler of the Strip. “The IDF sees with severity the terrorist activities of Hamas. The IDF is prepared for a variety of scenarios and is determined to fulfill its mission of defending the citizens of Israel,” the army said in a statement. Residents of southern Israel were told to remain close to bomb shelters in case of additional rockets or mortar shells from Gaza. 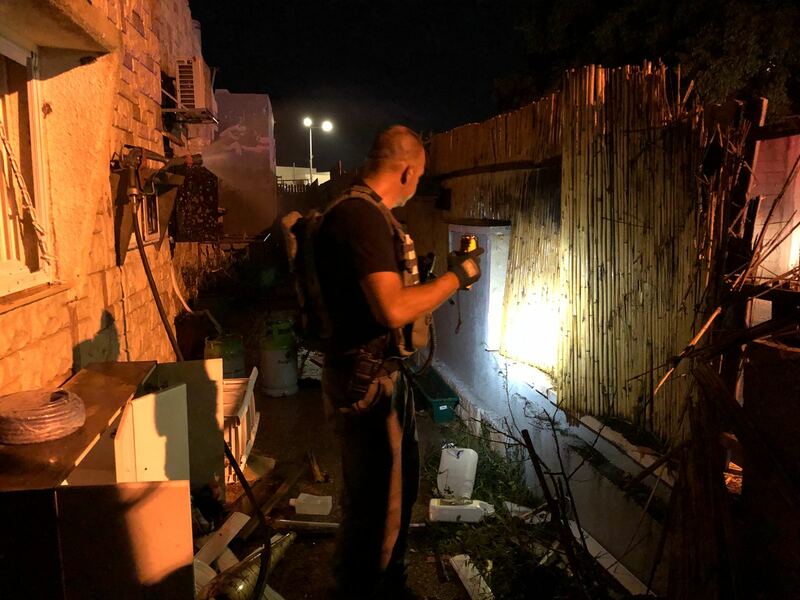 According to the IDF, eight rockets were fired at Sderot at about 7:40 p.m., with two of them being intercepted by the Iron Dome. Two men were injured from shrapnel, a woman was hurt as she ran to a bomb shelter, and 10 more suffered panic attacks, including two pregnant women who were hospitalized after they went into early labor. Following the attack on Sderot, Defense Minister Avigdor Liberman held a meeting with senior officers from the IDF and other security services at the military’s headquarters in Tel Aviv, known as the Kirya, to discuss the situation, his office said. 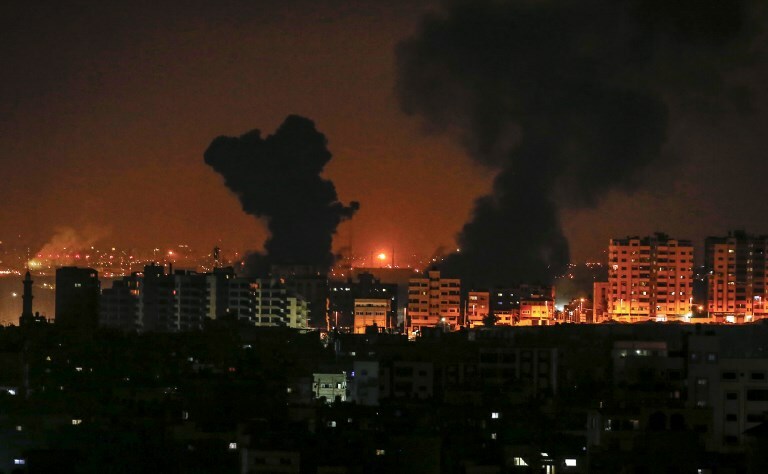 The rocket attacks came amid a period of heightened tensions along the Gaza border, following months of clashes and exchanges of fire. On Tuesday, Hamas vowed to avenge the deaths of two of its members killed by IDF tank fire after the army mistakenly thought a military exercise had been a cross-border attack. On Wednesday afternoon, the military warned that it was anticipating a revenge attack by Hamas after spotting members of the terror group evacuating posts likely to be targeted by Israel in reprisal raids. 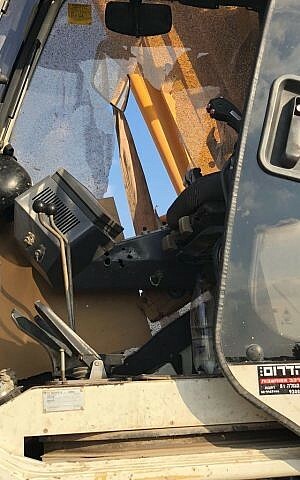 Hours later, shots were fired from the northern Gaza Strip at a number of civilian construction vehicles along the border, damaging one of them, the army said. In response, an IDF tank shelled a nearby Hamas observation post. Wednesday’s rocket fire represented a major uptick in tensions along the border, amid intensive talks between Israel and Hamas for a long-term ceasefire. Such an agreement is meant to end not only rocket launches and shootings from Gaza but also the regular incendiary kite and balloon attacks from the Palestinian enclave that have burned large swaths of land in southern Israel and caused millions of shekels of damage. Throughout Wednesday, at least 11 fires were sparked in southern Israel by airborne arson devices launched from the Gaza Strip. Israeli firefighters extinguished all of them, according to a spokesperson for Fire and Rescue Services.